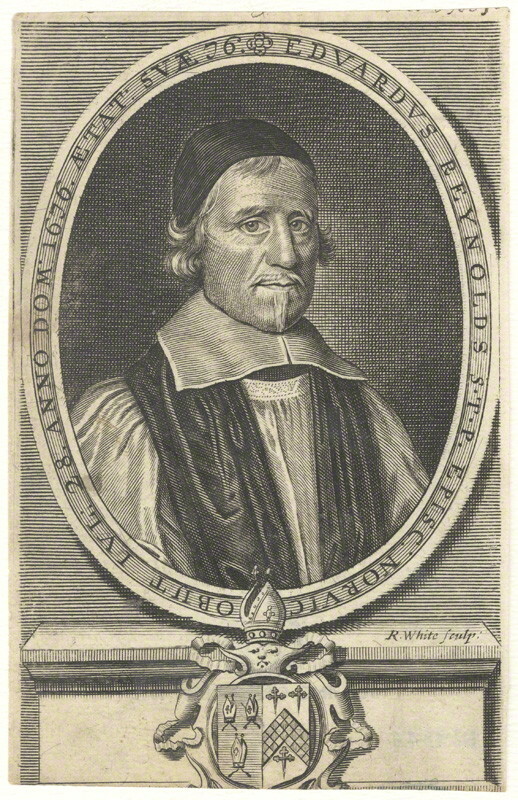 Above is Edward Reynolds, (1599-1676) a member of the Westminster Assembly who conformed to the Church of England in 1662, and later became Bishop of Norwich. John Flavel referred to him as 'a living library, a third university'. 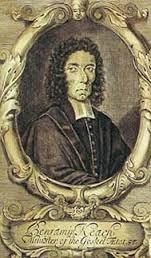 Beneath is Benjamin Keach, (1640-1704) , a signatory to the Baptist Confession of 1689. He seems to be rather surprised to be so near a bishop. 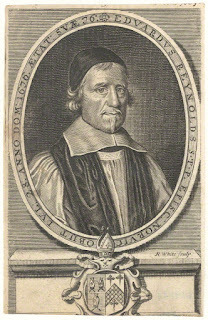 In what I intended (and still intend) as a brief account of Baptist Reformed Confessional theology began with the striking fact that the Particular Baptists of the seventeenth century were content to use the confessional language of their persecutors and would-be persecutors, including the phrase of God, that he is ‘without body, parts and passions’. This phrase was ascribed to Almighty God in all major English confessional documents of the Reformation and subsequently into the seventeenth century, including the Baptist Confession of 1689. We then thought of divine passionlessness, and saw that it was connected with divine immutability as it is found, for example, in Hebrews 6. And we also considered divine partlessness, or simplicity, God's metaphysical oneness. We now consider further the connectedness of these with other features - not parts, of course - of God. To think consistently and clearly about God our Creator, who is or has become our Redeemer in Christ, is unfamiliar to many and it is not easy. Such thinking calls for discipline, and also patience. Consistency should be our aim, since the Lord our God is one Lord. He cannot be at odds with himself. While recognising God’s ultimate incomprehensibility, we should not take short-term relief by appealing to paradox, tension, antinomy and the like. Sometimes people object to the discipline of theology as if it was an attempt to ‘master’ God, to pin him down, or to put him in a box. But to try and think in a straight and consistent way about God is not to make God a plaything. Sad to say, to characterise as clearly as we can what a Pit Bull Terrier is, is not to tame such an unappealing animal. Defined or not, the reality of the dog, and the terror it may arouse, are just as real. Modernity has become used to thinking of God as our buddy, as a familiar friend, or as our benign grandfather. So as we make plans, we may automatically think that God must have the plans that we have. That our plans become his plans. If not, whatever is going on? But that would be a serious misapprehension. God may have plans besides the plans we have, or things may be such that both God and ourselves cannot achieve the same goals. The biblical way is for us to commit ourselves to God's plans insofar as he has revealed them. 'Thy will be done, as in heaven, so on earth'. It is both lazy and presumptuous to bring down God to our size. He is altogether beyond our imagination, too wonderful and strange to be fully captured in our words. This is so even though it is in our words that he reveals himself as our covenant God, our redeemer. The basic posture that we are to adopt is to think of God, who transcends our own fleeting existence in space and time, as coming down in grace to us. He comes down to us in his revelation, adapting himself to our language, using figures and similes in order to address us. And he comes down in the Incarnation, which is not God becoming man, as milk becomes cheese, or wood becomes ash, or a boy becomes a man. This God, immaculate and immutable in his perfection, takes on human nature, and so humbles himself to be our mediator and friend. To begin to grasp this we must learn a new language that befits talking about the Creator who transcends us in ways that Scripture has in characterizing God. The church has coined words like ‘Trinity’ and ‘impute’ to refer to divine realities, that God is three and one, and that in Christ, he has counted our sins to himself, and his righteousness to us. In a similar way there is a language about God that the church, from the Patristic period onwards, has adopted to speak – daringly it must be said - of God as he is in himself. It is best to think of such language not as the language of a science, theology, but rather as providing us with a grammar. It is not that theologians can see further than anyone else, or are cleverer than other people, or that they can provide explanations for us, like consultant engineers do, for example. Rather, theologians attend to grammar, theological grammar, to try to epitomize God and his ways, to help not to go off the rails by onesidedly stressing data in Scripture at the expense of other data. This is stammering about God, for by it we cannot comprehend God as he is in himself. For how can the finite encompass the infinite? Rather we talk of him in such a way as to avoid fundamental biblical errors in our talk, in the present case we endeavour not to confound the Creator with any of his creatures. So to speak of God’s simplicity, his being without parts, is to speak not of a simplicity that is to be pitied, but of the oneness or unity that befits the Creator of the ends of the earth. The Lord our God is one Lord. To imagine that the Creator is composed out of parts, made out of stuff that is more basic than he is, is to be suppose that his parts were not created, implying that God is not the creator of everything. In physical nature there seems to be a divisibility all the way down. But in God, the creator of nature, there is unity, indivisibility. So one way of thinking about this is to affirm that God does not consist of parts that are more basic than he is. To think that would reduce him to the level of a creature. So Christian trinitarianism does not assert that God has one part who is the Father, another part the Son and another the Holy Spirit. If we are going to be faithful to the biblical witness we must distinguish three persons in the Trinity, but these three persons are not three parts. Mysterious? Certainly. Incoherent? Certainly not. For this is the fundamental feature of the Christian religion. So we begin to learn to talk of God, the God of the Bible, when we construe his unity in this sense. Last time we applied this simplicity to eternity and to time. God is not subject to ‘ever rolling stream’, he is not bound by time. For one thing, time is a sign of change. We change by gaining and losing parts, by coming to have thoughts and beliefs, and modifying them, and we have brain cells and body muscles, we age. We are in time. But God has created the universe, with ourselves a part it, from a standpoint outside time. He does not change, he alone has immortality (I Tim. 6.16). So to talk of the age of God, or his memories and anticipations, would be to talk of him in creaturely, not in creatorly terms. Being atemporal, God is immutable. This does not mean that God has decided to be immutable, but that he is. To suppose his immutability rested upon his decision is confused. For if this we so, on what would we base our confidence in his promises? So God is essentially or necessarily immutable. As the writer of the Letter to the Hebrews shows, such immutability is one of God’s great-making properties. (Heb. 6. 13-18). He is immutable by nature. And closely connected with God’s simplicity and his atemporality is his aseity. ‘Aseity’, independence, is an unfamiliar word, yet the idea behind it is a vital one. It is the root idea behind the affirmation of the underivedness of God,, that God is a se, from himself. This does not mean that God has created himself, he is uncreated. This idea of aseity has a strong element of negativity to it, as all the expressions we are considering have. So aseity does not mean that God has made himself, that would be incoherent, but that the child’s question ‘God made me, but who made God?’ rests upon a misunderstanding. In learning the grammar of his faith, the child has slipped up, misspoken. But the mistake is easily corrected. How could anything or anyone have made God, for he is the Creator of everything except himself? He is uncreated. It makes no sense to say that God was made, for to do so once again confounds the Creator-creature distinction. It is a mistake in the grammar of our language of God. 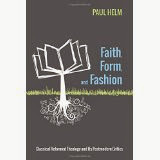 The Creator-creature distinction is fundamental to all Christian theology; we must never lose sight of it. The interconnectedness of the simplicity, the timelessness, the immutability and the aseity of God, (and of God’s full activity) lies at the heart of Christian theism. It is important to stress that this connectedness is not only a work of human reason, but that it is first and foremost grounded in God himself, and made known in Holy Scripture. We noted this about immutability, and it is so with eternality and aseity and the rest. We may make distinctions in our thought of God, as when we say that God is three persons. But such distinctions are not divisions in the reality of God. The modern separation of the elements of theological education, the development of separate specialisms, whether in the College or Seminary, or in the pew or the Bible-study group, is a mixed blessing. To be sure, we have the benefit of the various disciplines, Old Testament, New Testament, the Ancient Near East, historical theology, biblical theology, and so on. But who or what is to put Humpty-Dumpty together again? We must learn to cultivate an appreciation of the synoptic standpoint of our Creator, to whose one universe of creation and redemption every page of Scripture testifies. Not only is he our Creator, but the very same God is our Redeemer, and wherever the Lord is spoken of in Scripture it is this Lord. His word is the one word of the one God. His indivisible reality provides the basic hermeneutical key to every passage of Scripture. So the Particular Baptists, so long as they remain true to their historic confessional position, are theists in this, the grandest sense, classical theists. 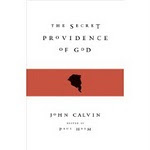 Next time in this short series we shall look at the first of two ways (I am not saying that there are only two such ways), in which the early Calvinistic Baptists took a different line from the Westminster Confession and, it seems, from the bulk of Reformed theologians.